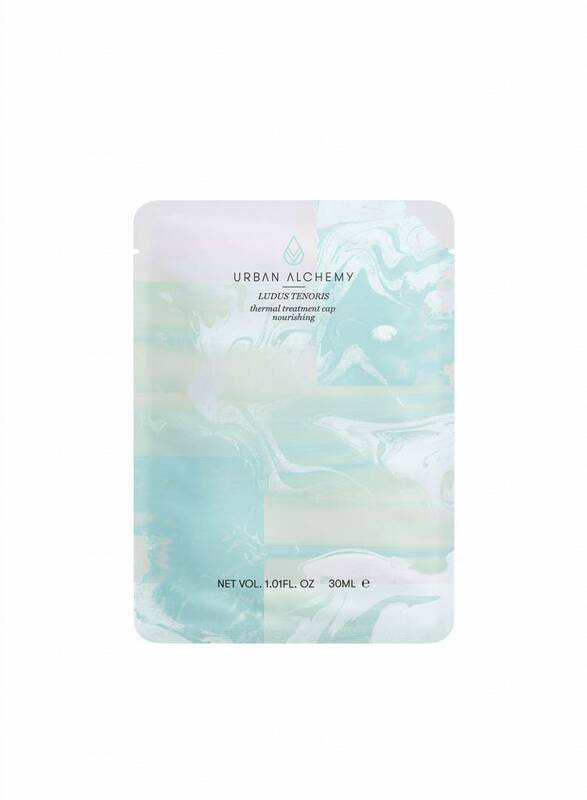 The third product line of URBAN ALCHEMY, named LUDUS TENORIS , contains intensely nourishing hair masks, which were developed for different needs of hair and scalp. Not only chemical treatments at the hairdresser but also the daily styling with hair dryer, straightener or curling iron strains the hair and can leave lasting damage. The LUDUS TENORIS thermal treatment caps are perfect for strengthening damaged, styling-damaged hair and providing it with important care ingredients. The hair masks are available in two versions. The regenerating hair treatment thermal treatment cap 'regeneration' rebuilds damaged hair, while the thermal treatment cap 'nourishing' hair mask moisturizes the hair intensively and sustainably. The body heat that develops under the hair masks ensures that hair and scalp optimally absorb the nutrients contained in the cures.